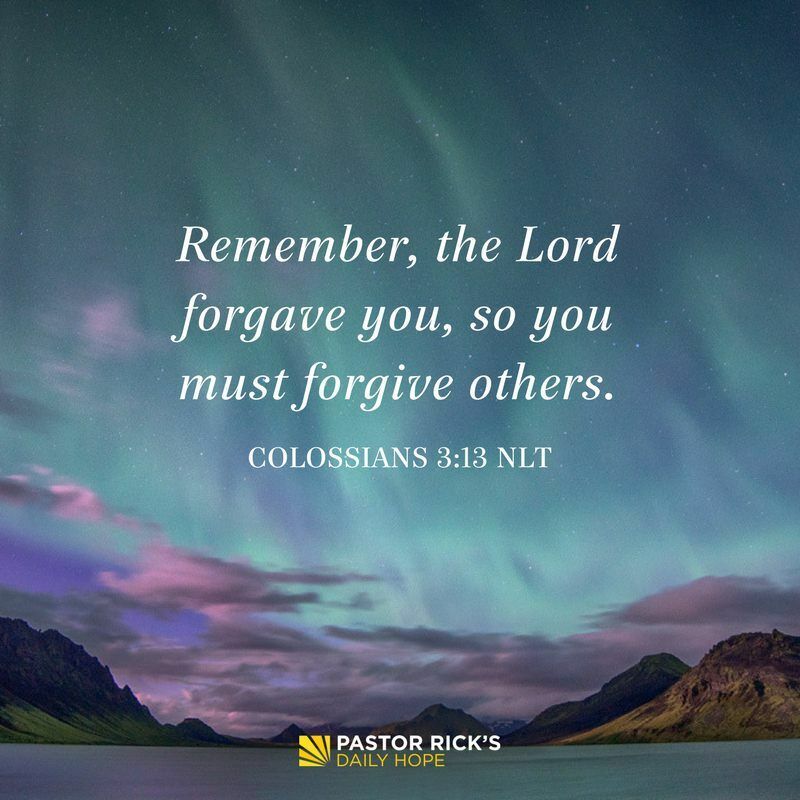 “Remember, the Lord forgave you, so you must forgive others” (Colossians 3:13 NLT). 1. You have to forgive those who’ve hurt you because God has forgiven you. 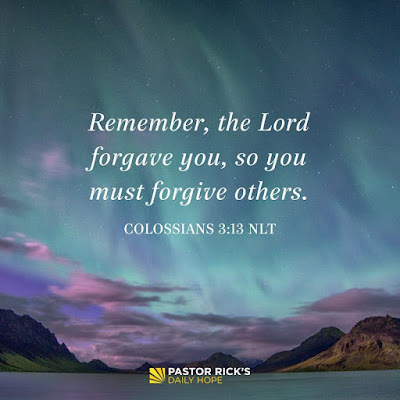 Colossians 3:13 says, “Remember, the Lord forgave you, so you must forgive others” (NLT). If you want to be a forgiving person, you need to first accept the forgiveness of God through Jesus Christ. The Bible says that God came to Earth in human form in Jesus in order to offer forgiveness for everything that’s ever been done wrong. He paid for it so we don’t have to. That’s Good News. 2. You have to forgive those who’ve hurt you because resentment will control you. 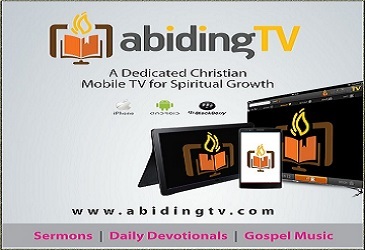 The Bible says in Ecclesiastes 7:9, “Only fools get angry quickly and hold a grudge” (CEV). Resentment makes you miserable, and it keeps you stuck in the past. And when you’re stuck in the past, you are controlled by the past. Every time you resent something, it controls you. Perhaps you are allowing people who hurt you five, 10, or even 20 years ago to hurt you to this day. Don’t let it happen. They can’t hurt you anymore. Your past is past. You’ve got to let it go. 3. You have to forgive those who’ve hurt you because you’re going to need more forgiveness in the future. Jesus said in Matthew 6:14-15, “For if you forgive other people when they sin against you, your heavenly Father will also forgive you. But if you do not forgive others their sins, your Father will not forgive your sins” (NIV). Forgiveness is a two-way street. You cannot receive what you are unwilling to give. Someone once told John Wesley, the 18th-century British theologian, “I could never forgive that person!” Wesley replied, “Then I hope you never sin.” You don’t want to burn the bridge that you’ve got to walk across to get into Heaven.